Photographer Tim Wright found something interesting in one shot he took during a BIIF football game last night. An apparition appeared Friday night at the Hilo vs. Waiakea football game played at Wong Stadium. The spook could be seen looking out of the locked batting cage near the end zone. 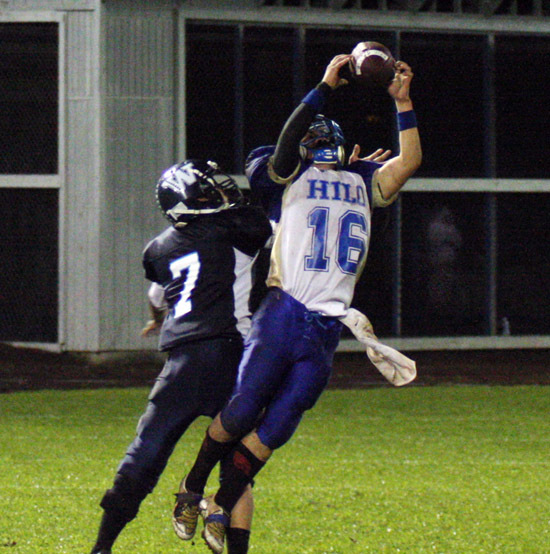 The spirit almost looked like it was praying, perhaps it was praying for Hilo, which lost 20-0.